The Rangers surprised everyone by beating San Jose last night in dramatic fashion. They played the Sharks tight, and eventually got the tying goal late before Brady Skjei won it in overtime. 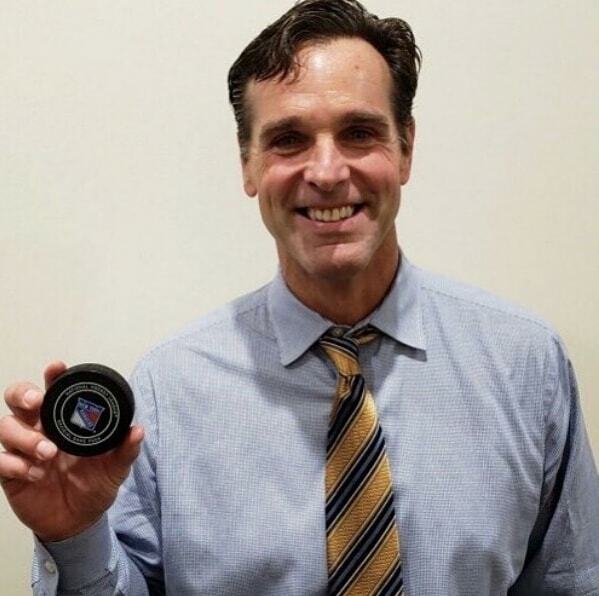 It was a nice feel-good moment for us, as it was not only the first win of the season, but it was also the first win of David Quinn’s Rangers career. In the game, we saw Brett Howden show that he isn’t a flash in the pan. He belongs. Brendan Smith scored the tying goal, one of redemption after the events of last season. Skjei’s winner was the icing on the cake. It’s a win that showed the team will not quit, but it appears this will be one of few truly great wins this season. The first three games are more likely to be the future of this season than last night’s win. It’s something we’ve been expecting all year, yet it’s been difficult to deal with in the first week of the season. There was a lot of frustration before last night’s love affair. While we can expect the losses to pile up this season, let’s sit back and enjoy the win we didn’t expect to have. San Jose is a true Cup contender this year. The win had goals from a rookie, a lynchpin on the blue line, and a veteran eyeing redemption. It had Henrik Lundqvist standing on his head. That could be a first glimpse of the future when the team finally turns it around and shifts from rebuilding to competing. There’s a lot of work to be done, and it’s going to be painful to watch. But let’s enjoy this one while we can. It was a fun game to watch, and even better with the two points. "Enjoying the first win", 3 out of 5 based on 4 ratings. Many nights, we will be playing against teams that have the best player on the ice. SJS probably had the top 3. You learn from losing more than you learn from winning. Holding SJS to 2 goals shows a strong goalie and complete team defensive game. We need more of these to gather points. Good for Coach Quinn! We all knew this would be a challenging year, but getting the first win under their belt must make that a happy lockeroom. The picture of Quinn combined with this quote by Hank makes me very happy (and curious as to how Hank could be thinking about anything other than stopping the 43 shots that came his way…). Every post you make is about Henrik…what up with that? I like him and goalies in general. Always fascinated by the position. Every post you make is cranky. What’s up with that? ? Totally agree Sittoo, I feel the same way. This was a pretty cool gesture on Henrik’s part – and made for a good 1st win memento / picture for DQ as well. Hopefully many more to come! Can we pump the brakes a tad on Howden please? Flash back to Oct 2016, Jimmy Vesey scores 5 goals and has an assist in 9 games while shooting close to 16%! Jimmy Vesey precedes to score 11 more goals over the next 70+ games. As I said elsewhere,, NOT comparing him to Vesey as he has more talent. But, Brett Howden is shooting 40% right now. If he scores one more goal over the next 70+ games are we all going to be yelling about how “special” he is then? He’s hot right now. He’s taken exactly 5 shots on goal in 8 attempts. Enjoy it. But pump the brakes a little. Eh I’ll still pump up Howden’s game because he does an decent amount of things in the DZ and NZ, so it’s not like his game would fall apart if stopped scoring. I saw this the moment he came back in the trade that he would have a great chance to be one of the better 200 ft center’s out of the rookies. I also noticed that he’s received the Lias/Chytil treatment from the Sam and Joe which has poured into the the fanbase. If Howden made a tape to tape pass- he’s the future. If Howden caused a turnover- he’s the future. If Howden won a board battle- he’s the future. If Howden took a sip of water on the bench- he’s the future. Yes the Garden Propaganda Machine Joe and Sam. They are either instructed to behave this way or they just take the cues well and throw it all up. I mute them when they start on their crusades to sell the Garden Garbage. I am intrigued by Howden and all the Rookies. However this is a sales job for the trade made with Tampa that many fans were questioning. Rangers Guardians of the Garden have made some really bad trades and drafts over the past 30 years! Maybe it is changing! Very nice win – jumped off my seat when they tied it – (was happy when we were assured the point, and then elated to get the win!). On the Howden goal I held my breath because of the offside challenge. I watched the play and audibly called “offside” but the refs let them continue as they entered the zone. Once we scored, my eyes were on the San Jose bench, hoping for no challenge. Finally we got a call come our way and the goal was allowed. So happy for us, especially Quinn – I thoroughly enjoyed this game – beating a solid, strong Shark team, a lot of good talent there besides just Burns and Karlsson.